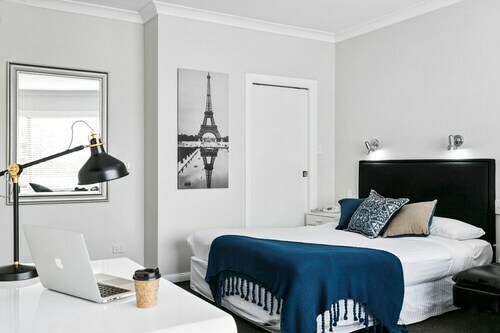 Located in the heart of Arncliffe, this hotel is within 6 mi (10 km) of Enmore Theatre, University of Sydney, and Royal Prince Alfred Hospital. Broadway Shopping Center and University of Technology Sydney are also within 6 mi (10 km). Sydney Arncliffe Station is 7 minutes by foot and Sydney Banksia Station is 11 minutes. 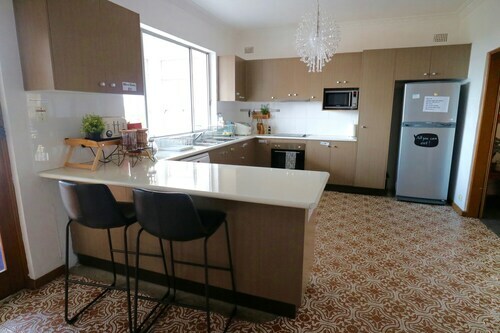 Situated in Arncliffe, this apartment building is within 6 mi (10 km) of Enmore Theatre, University of Sydney, and Capitol Theatre. Royal Prince Alfred Hospital and Broadway Shopping Center are also within 6 mi (10 km). Sydney Banksia Station is 12 minutes by foot and Sydney Arncliffe Station is 12 minutes. When in New South Wales, make sure you visit the state capital of Sydney and have a look around the vibrant area of Arncliffe, situated 10 kilometres southwest of the CBD. 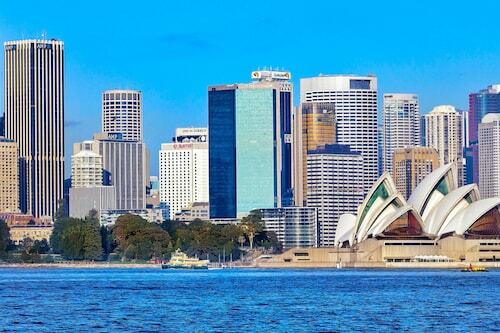 The Sydney Opera House, Bondi Beach and Sydney Harbour Bridge are just a small sample of the impressive iconic things to see that Sydney is the home of. Keen golfers can perfect their swing at Kogarah Golf Course. 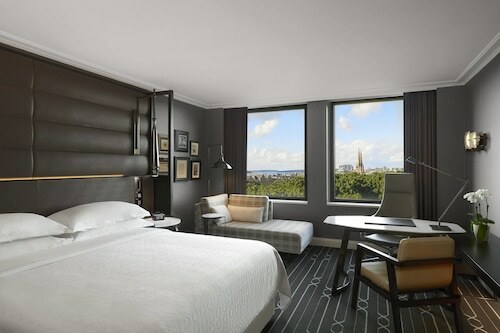 The Novotel Sydney Brighton Beach and Rydges Sydney Airport Hotel are perfect if you want to rest your head close by. Take your mates for a game of cricket or a relaxing afternoon walk in Cahill Park. For this attraction, think about the Mercure Sydney International Airport and Ibis Budget St Peters. Do you have trouble facing the day without a morning coffee? You'll be happy to know Arncliffe boasts some excellent cafes. Adora Handmade Chocolates is a local favourite, offering a mouthwatering variety of hot drinks and snacks. Once the caffeine wears off and your belly starts hankering for something more substantial, check out the menu at Bexley Pizza. This well-loved eatery plates up some seriously tasty food. Your evening may be ending or just getting warmed up. Either way, a few drinks at Enigma certainly couldn't hurt. 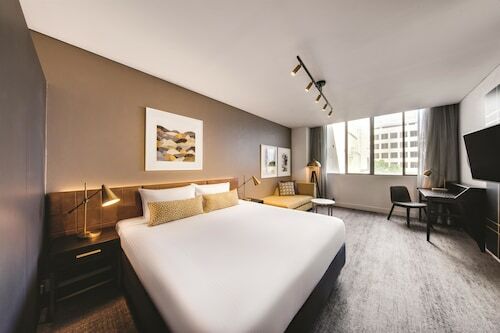 If you and your travelling partner cannot secure the ideal Arncliffe hotel room, check out the lodging options in Wolli Creek and Rockdale. Wotif can line you up with some great places to lay your head in Arncliffe, so when it's time to fly, we're ready to take you there! How Much is a Hotel Room in Arncliffe? 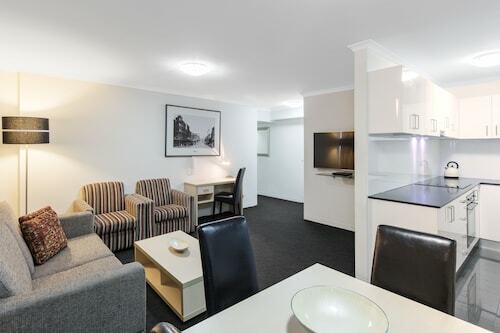 Hotels in Arncliffe start at AU$89 per night. Prices and availability subject to change. Additional terms may apply.